At Happy Teeth NY, parents find a state-of-the-art pediatric dental practice and a team with excellent chair-side presence, meeting their expectations for high-quality care. 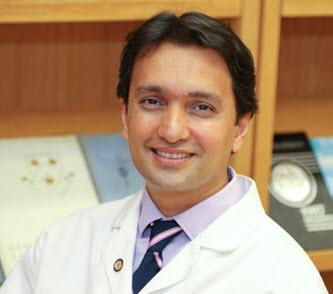 Our Upper West Side pediatric dental specialist, Dr. Shantanu Lal, understands what discerning parents look for. The intuitive ability to read children and behavior shaping is a gift that few possess and one that Dr. Lal specializes in while teaching dental students. We want your child to have a healthy smile they can enjoy for a lifetime. If you’re ready to schedule your child’s next dental appointment, contact our office today. New Patients and Multiple Insurances Welcome! Our Upper West Side pediatric dental office welcomes families with many different insurances. We are in-network with popular PPO plans that include Aetna, Metlife, Cigna, Guardian, Anthem/Empire BCBS, United Concordia Advantage Plus, and Delta Dental. Please visit our Patient Information section for more information on accepted insurance plans. Our team is trained and capable of filing your claim for care. If you’re looking for a pediatric dentist near you, Dr. Lal and his team welcome you to Happy Teeth NY. Our new patient exams are catered to your child’s age and develop a feeling of comfort at the dentist. We take care to never push a treatment that they don’t feel ready to receive. If your child is feeling anxious, we offer many ways to make their dental visit fun and friendly. With over 15 years of experience in treating children, our pediatric dentist and team know exactly what to do to ensure your child develops and healthy smile and a positive relationship with their dentist. At Happy Teeth NY, Dr. Lal spares no expense in providing the latest in modern dental technologies. Our pediatric dental services are backed by treatment methodology and high-tech tools that are at the forefront of the industry. In everything from anxiety management to keeping children happy and entertained at our office, parents trust our specialist and team to take gentle care of young smiles. We offer video eyewear for children to enjoy programming or play their favorite video games while getting their teeth cleaned. With digital X-rays, we can capture precise images of your child’s teeth and protect them from unnecessary radiation exposure. When additional treatment and local anesthetic are required, Dr. Lal provides comfortable and gentle application of anesthetic with electronic technology. We also offer minimal sedation using the latest laughing gas or nitrous oxide technology and safety monitoring equipment. Parents and patients trust our tech-savvy approach to dentistry to ensure they feel good about visiting the dentist. Dr. Lal and his team look forward to seeing new and returning patients. If you have questions about available services, insurances, or a first dental visit for your child, contact our Upper West Side pediatric dental office today.